We made this handprint canvas last year for my Dad, and I think it’s one of my favorite projects ever. 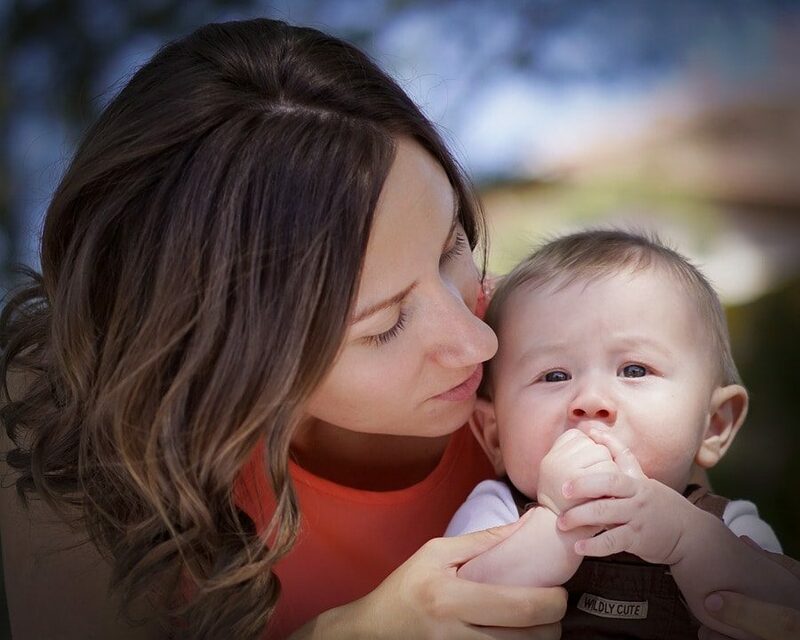 It’s really easy to do but, like the handprint calendar, makes a great keepsake to remember their little hands. Since we have four little ones, the spacing was easy, but you could do add words to one section if you have three little ones, use a bigger canvas and make more sections if you have more than four or get creative (multiple prints? footprints?) if you have just one or two! Hint: You’ll need a couple days for this project, so don’t wait until the last minute. Start by dividing your canvas into even sections with light pencil lines. Carefully paint each section a different color. I highly recommend letting the sections dry before painting the adjacent ones (so, for example, you could paint the upper left and lower right sections on day 1 and the opposite corners on day 2), especially if you’re painting the sides of the canvas as well. Depending on the thickness and coverage of your paint, you may want to add a second coat to each section as well. Once all of the background paint is dry, add a generous amount of contrasting paint to a plate. 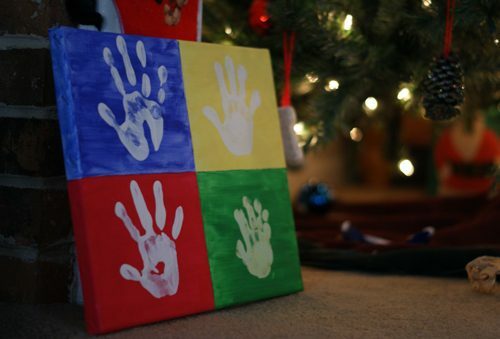 We used white for all of the handprints, but you could also use a different color for each print as well! Help each of your children carefully make a handprint on their section and then let them dry completely before wrapping.